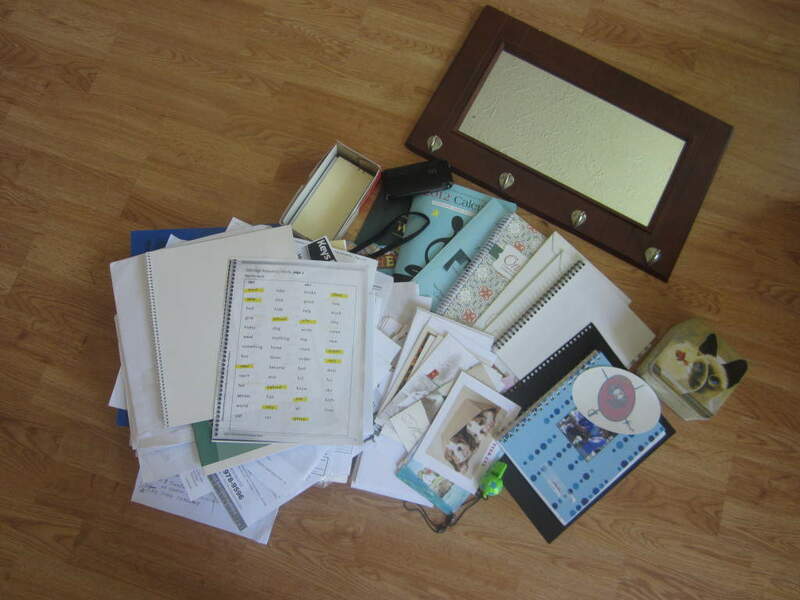 Clutter-Busting Challenge, Day 11: A Whole Big Pile of Stuff! I think this qualifies me as being caught up, don’t you? Have you been following this Clutter-Busting Challenge? What funny things have you found around your house to get rid of? WOOHOO! And I laughed hard at the 1 million old greeting cards. I have a hard time tossing cards. I’m doing cookbooks (SO HARD!!! I don’t wanna give them away!) and more of our office today. Yes, the office will take me four years. Awesome job, Erin! Btw, LOVE the right sidebar of your page now…your home is so sweet and cozy looking!